Ken D Fish here with the results of a recent search through old issues of everyone's favourite C64 magazine ZZAP!64 and a few issues of the pretender to the throne, Commodore Force. What was the search for? Compilation reviews and 137 of them have been found and logged to feature in a future update of Compilation64! First, a scan of a ZZAP! article about the CD compilations released by Rainbow Arts and Codemasters, namely 'CD Edition' and 'The CD Games Pack'. 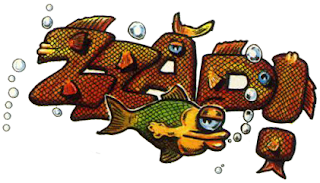 Second, scans of ZZAP! competitions that mention the compilations 'Multimixx 1', 'Multimixx 2', '4 Quattro Adventure', '4 Quattro Combat', '4 Quattro Power' and '4 Quattro Sports'. Third, a scan of a shop advertisement that features compilations, namely an offer from Boots of a free game or holiday when purchasing 'Giants' and 'The In Crowd' (and another compilation that seems to be called Mega Games Volume 1 that is unknown to us and that we are investigating now). Last, new adverts found for compilations already in our archive, including '30 Games', 'Game Set and Match', 'Magnificent Seven', 'Live Ammo', 'The Biz', 'MegaMix' and '100% Dynamite'.